Most-recently modified on 20:40:29 25-Sep-2003. In the morning of Day 3, we're still in full swing in classrooms. We got into Juneau ahead of schedule (like many of the points on this trip). The Juneau Linux Users Group invited some of us out for lunch and a trip to Mendenhall Glacier. 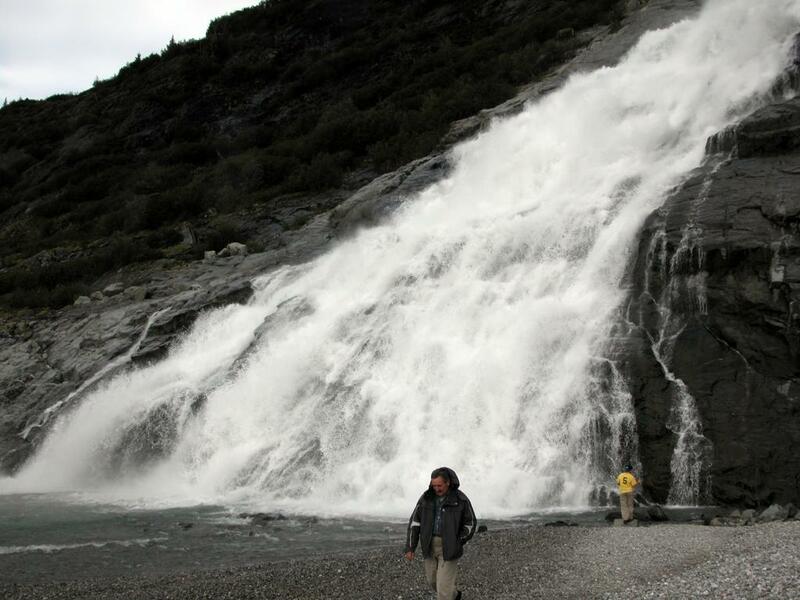 Although I'd been to the Glacier a few times before, this was my first trip to walk out to the falls as well. In the evening, we conducted the seventh legendary Juneau Pub Crawl, starting with a great dinner at the Twisted Fish, and hitting nearly a dozen or so bars in the circuit. Excuse me if the pictures were a bit fuzzier toward the end, because that's how it looked to me as well.